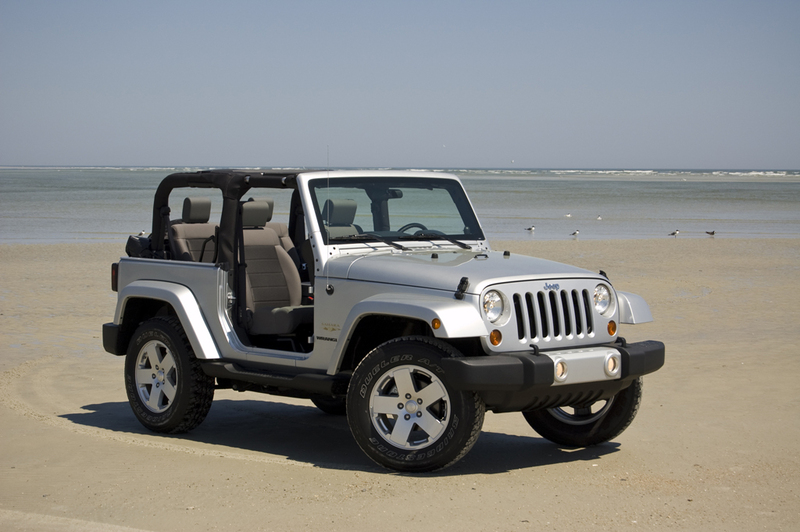 When you think of a Jeep you think of a classic in the form of an off-road, boxy, get the job done vehicle. Well, that is just what today’s Jeep Wrangler is still all about even after 60 years of being a successor to the World War II Jeep. 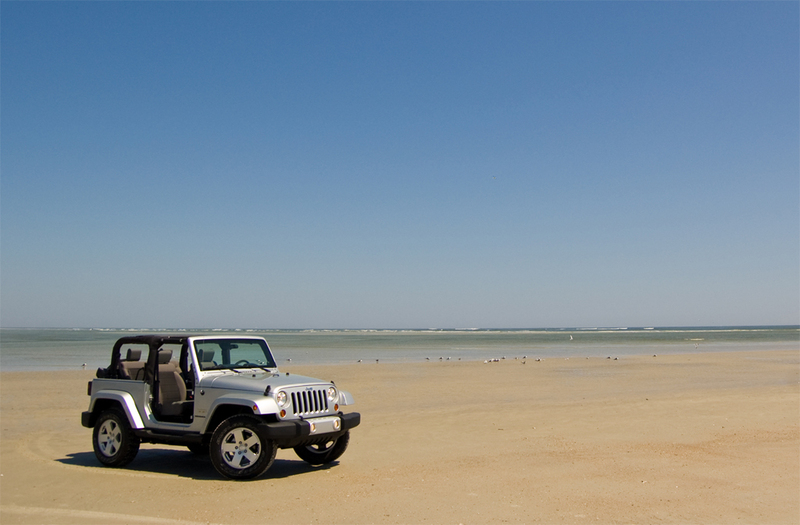 The new 2010 Jeep Wrangler Sahara that we had the chance to test drive is somewhat common placed. That in itself means that not much has changed over the years other than a few techie gadgets such as traction control, a killer audio system and even navigation. Yes, that’s right, what other way would you want to have a true off-road vehicle? 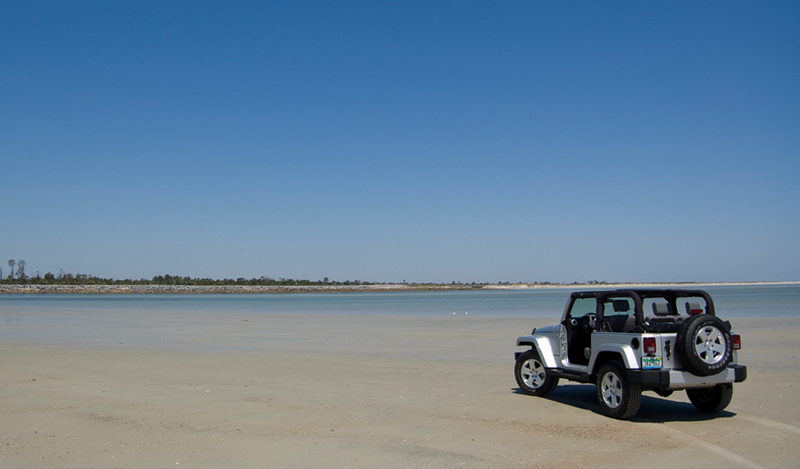 All current Jeep Wranglers come with a standard 3.8-liter V6 that produces 202 horsepower and 237 ft-lbs of torque. 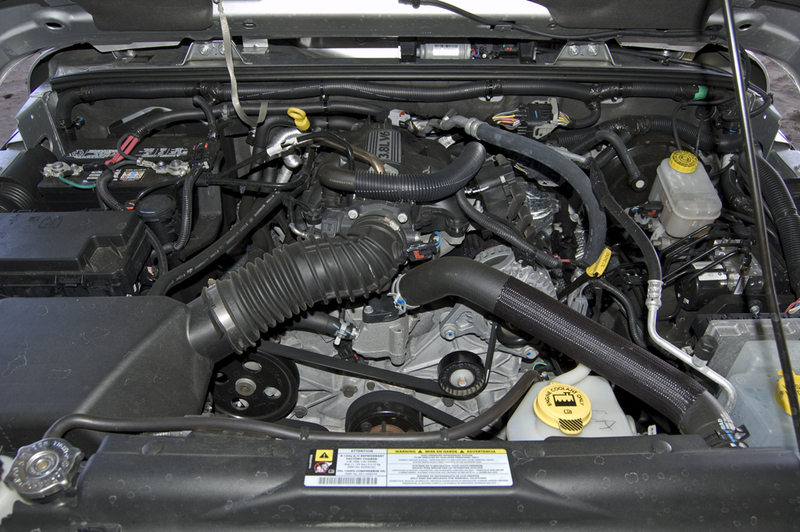 Long gone is Chrysler’s prized 4.0-liter inline-6 cylinder engine. 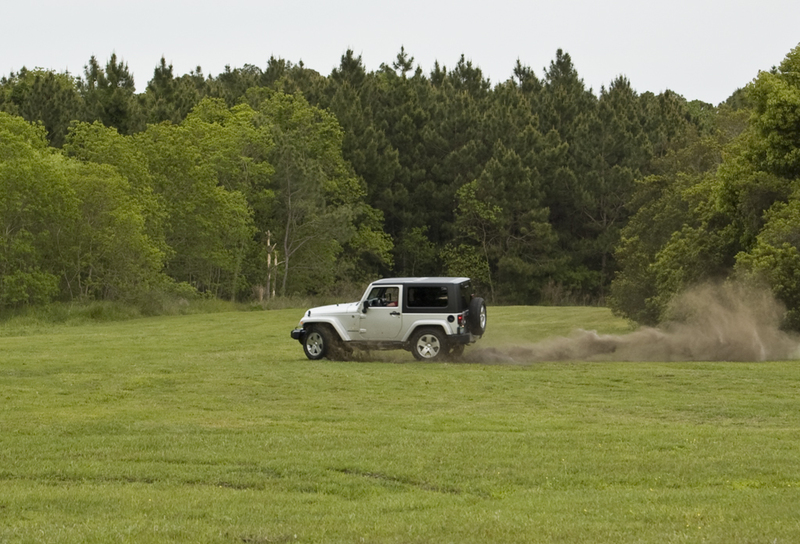 Even with the new 3.8-liter V6, the Wrangler has enough grunt to get the job done for most off-roading excursions. Chryslers opt for the new V6 is a nice addition with improved fuel economy EPA estimates of 15mpg city and 19mpg highway on our test vehicle. The latest redesign to take place for the Wrangler in 2007 was the biggest change in years even dating back to the 70’s CJ. You would be hard pressed to point out any major differences in this wrangler and others due to Jeep staying true to its roots. A wider and taller body rolling on 5-spoke 18 inch wheels adds to the modern appeal. The common place short wheelbase of the Wrangler, at 95.4 inches, and 10.3 inches for the ground clearance, is just right for those doing any serious terrain exploration. 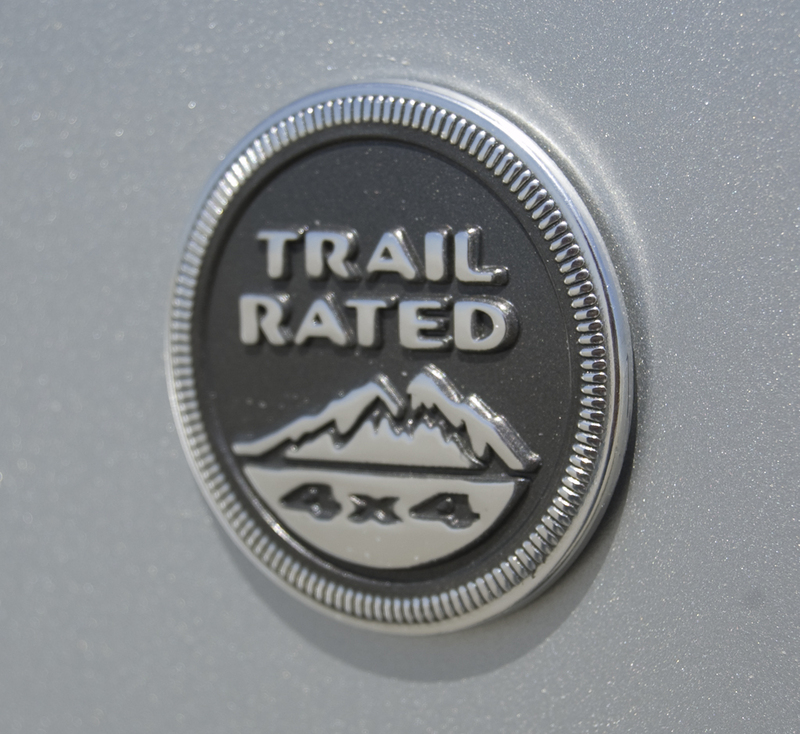 After all, this Jeep is trail rated. Our Wrangler test vehicle came well equipped with a media center package incorporating a 6.5 inch lcd screen, navigation, cd/dvd playback, usb connection, voice command, SIRUS radio, and a built in hard drive for music storage. Other options included a remote start system, and the dual top group offering both a Sunrider soft-top and the three-piece removable Freedom Top. The roof panels and doors are rather easy to remove and can be done with just one person. 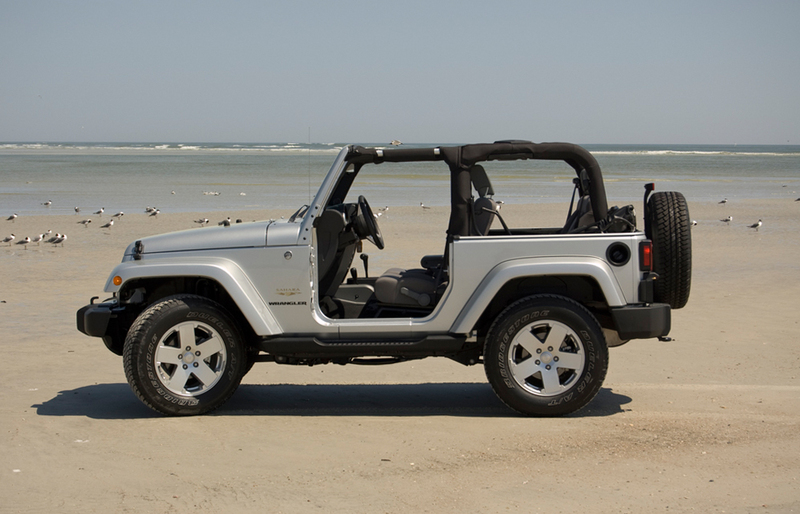 This is a welcomed feature that is classic to the Wrangler lineup. Found inside of the 2010 Wrangler are simple easy to use controls. The interior is surrounded by hard plastic that serves as a benefit for what this vehicle’s purpose is. In the case that the interior needs to be cleaned from sand or dirt, the process is a breeze. 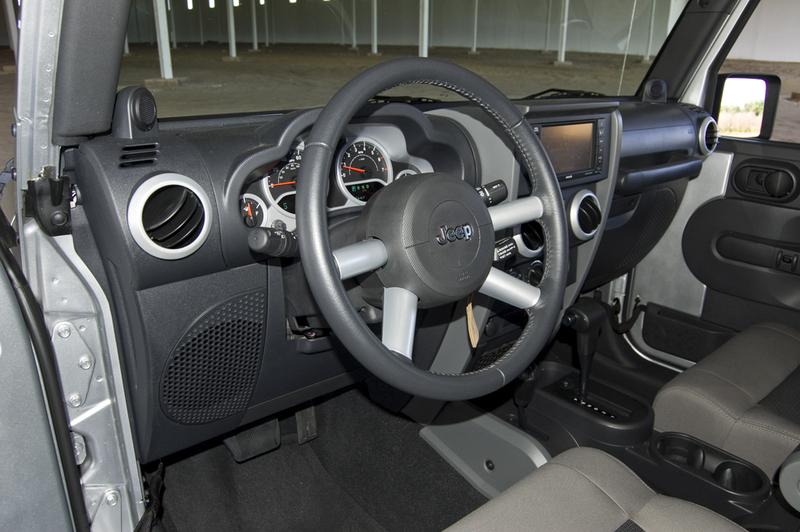 The updated interior for 2010 also includes sliding sun visors and a central digital display in the cluster displaying the outside temperature and compass. Rear seating is narrow as they must be positioned over the wheel well due to the short wheel base. Rear storage through the door-opening-hatch is also limited by the rear seating. 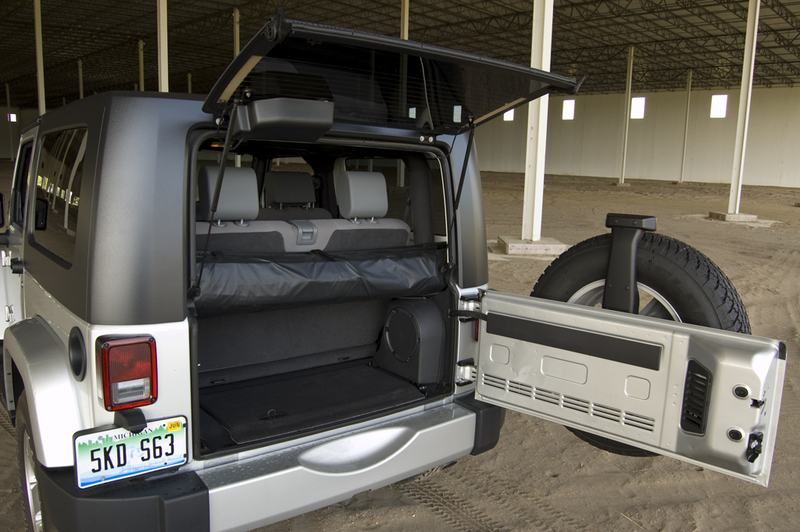 For what it is, and that is a Jeep, the rear seating is not designed for long trips and can be stiff at times. 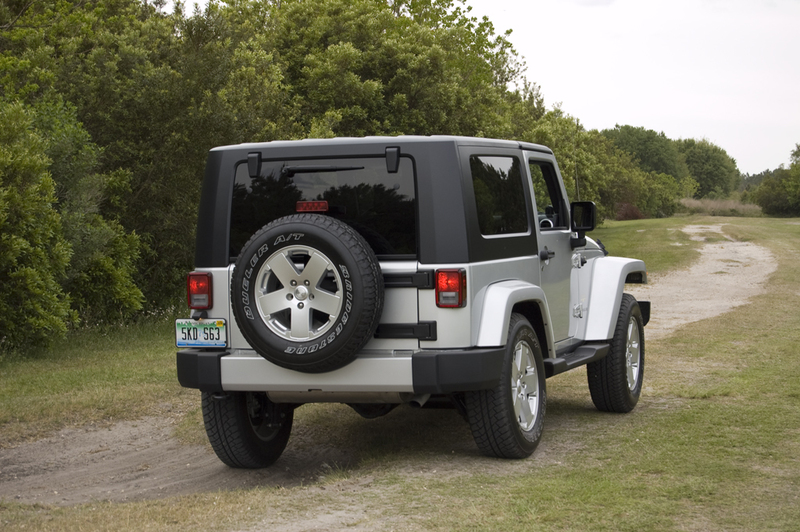 Jeep’s Command-Trac part-time 4-wheel drive system is only offered in the Wrangler two-door. 4WD shifted on-the-fly works great when you encounter rough terrain. When taking the new Wrangler off-road on a few local trails, I was always confident in its ability to move through whatever was thrown at me. Most buyers may not even take their new Wrangler off-road which would be a waste of its true abilities, but it is good to know that this vehicle is ready and willing. In terms of safety, the new Wrangler gets good markings for frontal impact protection from both the Insurance Institute for Highway Safety and the National Highway Traffic Safety Administration. Unfortunately due to the lighter doors, it received poor side impact ratings. Rollover likeliness is also a downside due to the high ground clearance in terms of safety. However when it’s pushed to the limit, the aid of the electronic roll mitigation and electronic stability control keep the Jeep tamed. Other standard safety equipment includes four-wheel anti-lock disc brakes, tire pressure monitoring system, hill start assist, traction control and four airbags. The new Jeep Wrangler remains to be the ultimate trail rated off-roader with new improved comforts to make any road a bit more manageable. 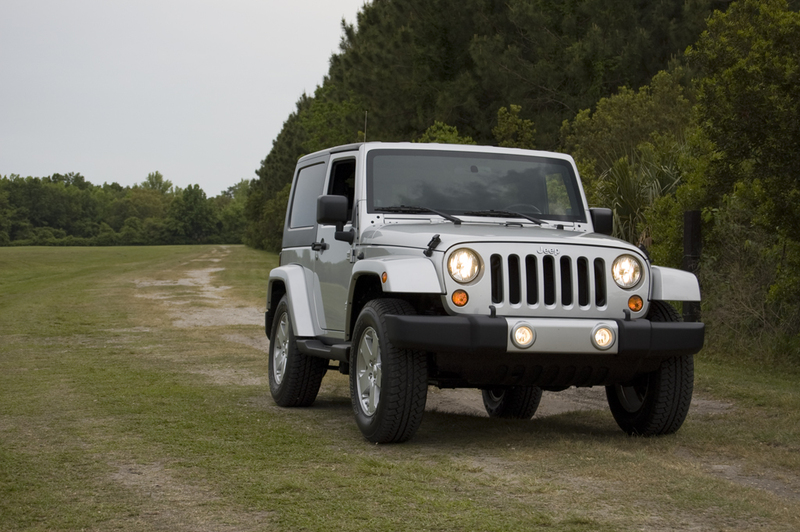 If you are in the market for something gives you options, is rugged and yet modern, then the 2010 Jeep Wrangler is for you. 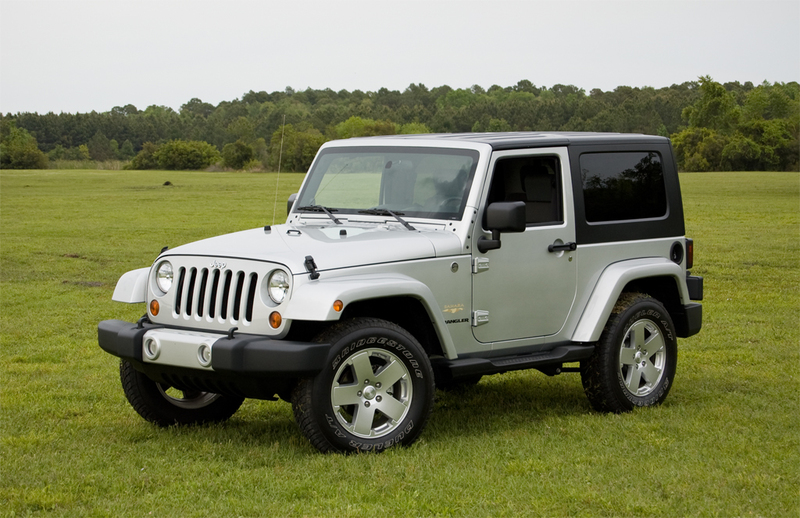 The Jeep Wrangler Sahara model range starts at $26,255 with our test vehicle topping off at $31,190. Front Head Room: 41.3 in. Front Shoulder Room: 55.8 in. Rear Head Room: 40.3 in. Rear Shoulder Room: 61.6 in. Rear Hip Room: 44.7 in. Front Leg Room: 41 in. Rear Leg Room: 35.6 in. Luggage Capacity: 17.2 cu. ft. Maximum Cargo Capacity: 61 cu. ft.
Fuel Tank Capacity: 18.6 gal. Manual: 279 mi. / 353.4 mi. / 316.2 mi.